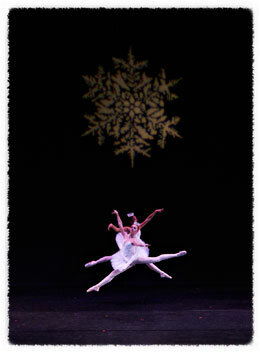 With a new century, came a new century twist to a traditional holiday favorite. After many years staging the traditional Nutcracker, a band of choreographers working in Kansas felt it was time to launch an American tale celebrating the hardworking roots of America's pioneers and their simple holiday customs. Like the old century Nutcracker, the new century Prairie Nutcracker is set in the late 1800s, but instead of Germany, it is set at a fort on the plains of America. A frontier soldier replaces the Nutcracker and a prairie doll, not the sugar plum fairy, welcomes a little girl and her family moving to Kansas from Boston. Her father, a Lieutenant in the cavalry, has just been assigned to Fort West. A Colorado pine, only 4 feet tall, graces the hospital barracks decked out in the red, white and blue patriotic Christmas decor of the day. The fort officers' children delight in their Christmas eve gift - a shiny red apple - more rare and treasured than the lavish presents found under the towering tree of their European counterparts. Tchaikovsky's score still remains adapted brilliantly by Boston composer Rick Kuethe. Tchaikovsky's mirlitons give way to pioneer women deftly hanging midday wash while nearby enlisted soldiers collect and stack wood every bit as energetically as the traditional Russian booted trepak. Kansas winds, Indian flutes, crickets, farm animals, fiddles and accordions add historical authenticity to the delightful Americana sound of Rick Kuethe's enchanting musical adaptation. Since its debut in 2000, Prairie Nutcracker has captured the hearts of farmers and businessmen as well as the very young and the young at heart. "Better than the original" is often heard as the music, town dignitaries and dancers blend their talent and joy on the stage of Hutchinson's Historic Fox Theatre. The story, set and costuming are authentic to 1869 Kansas under the auspices of Fort Hays in Hays, Kansas. 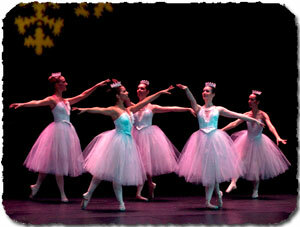 In 2003, Prairie Nutcracker toured to Omaha, Nebraska and was mentioned in USA Today. In 2004, it was registered in the Library of Congress, and in 2007, became a nonprofit organization joining other state events promoting the beauty of Kansas and celebrating its proud pioneer heritage. To work with the state and local tourism agencies to promote the the culture and pioneer heritage of the state and region.